Twin Cities Nonviolent (TCNV) began in late 2016 with a phone call from Father John Dear, to Father Harry Bury of the Archdiocese of St. Paul/Minneapolis. Father Dear, a long time peace activist and advocate for nonviolent action to address issues of justice and peace, was creating a new national project—The Nonviolent Cities Project. The national Nonviolent Cities Project was based initially on the experience of Carbondale, Illinois. For more than seven years, organizers there have sponsored events occurring over seven-day periods with themes that focus on compassion, welcoming, nonviolence, and other components of a nonviolent culture. Working with Pace e Bene, an independent nonprofit committed to spreading the power of active nonviolence, Father Dear issued an invitation to Father Bury to help initiate a Nonviolent Cities project in the Twin Cities. Minneapolis/St. Paul is a major metropolitan area of more than 3 million residents, and is recognized as the 16th largest metro area in the United States. Father Bury, a priest of the Archdiocese of St. Paul and Minneapolis, taught Management and Organizational Behavior at Baldwin Wallace University in Ohio and is an anti-war activist. He began inviting friends, colleagues, and activists from local faith communities to come together to plan a local Nonviolent Cities Project. Organizing and planning began with the intention to provide an opportunity for Twin Cities’ residents to support and join efforts to reduce and end violence. Additionally, organizers hoped these activities would lead to the creation of a growing culture of nonviolence throughout the neighborhoods and communities of Minneapolis and St. Paul. Father Bury and the early organizers established a working norm of inclusive, democratic decision-making emerging from all the participants rather than hierarchical decisions handed down by a few people from on high. Every effort was made to be inclusive in terms of age, race, ethnicity, and background of Steering Committee members. 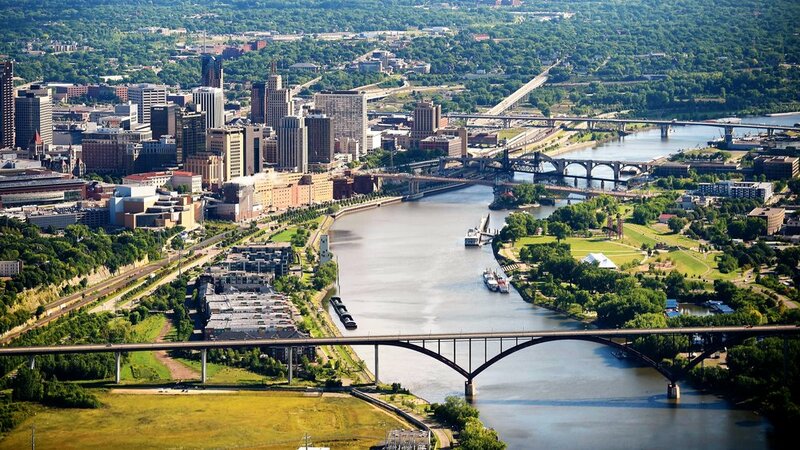 The Twin Cities would soon become one of the leading participants in The Nonviolent Cities Project. Gathering in the basements of local churches, meeting rooms within city buildings, a diocesan priests’ retirement home, and other locations throughout the Twin Cities, the growing group of participants worked to identify other individuals and organizations to invite. September 21st to 30th was selected as the timeframe for the “10 Days Free From Violence,” beginning on International Peace Day. By situating the events in September, organizers hoped to allow schools and colleges to get involved. The steering committee reached out to Twin Cities mayors, city council members, police officials, and other elected officials, as well as local libraries and schools in an invitation to incorporate nonviolence in their various programs. The mission of Twin Cities Nonviolent is to reduce violence in all its forms; to increase awareness and engagement in nonviolent policies and practices; to bring together local community organizations, including nonprofits, religious institutions, educational institutions and government agencies; and to dismantle the structures and systems that lead to violence throughout the Twin Cities and beyond. We envision a Twin Cities free from violence. During this time of planning and organizing, the committee identified individuals and organizations working to reduce and end violence in the Twin Cities and invited them to monthly collaborator meetings. After some discussion, the term “collaborator” was chosen to refer to these individuals and groups because they embody the heart of this project. During the 10 Days Free From Violence, TCNV would highlight the good work these collaborators do and emphasize their commonalities instead of beginning a new initiative to end violence. The 10 Days Free From Violence 2018 was a success with 80 collaborating organizations and individuals sponsoring more than 70 events throughout the Twin Cities. These events featured individuals and groups working to reduce and end all types of violence in this large urban area. The week opened with participants joining Native American Ojibwe elders and spiritual leaders conducting a Circle of Healing From Violence on the shores of the recently renamed Minneapolis City Lake, Bde Maka Ska (formerly Lake Calhoun, renamed Bde Maka Ska because of John Calhoun’s active support of slavery). Ten Days Free From Violence continued with concerts, songs of solidarity, workshops, theater productions, a special jazz composition created specifically for this occasion (“Let It Begin With Me” by Aane Fosse), prayer services, a poetry slam, spoken word events, photography and art exhibits, training in nonviolent communication, readings by social justice and peace authors, dedication of a local Peace Pole, peacebuilding films, lessons from international peacemaking interventions, a cabaret performance on abolishing war and violence, workshops looking at alternatives to violence, and many other events. Hundreds of participants joined in these events as Twin Cities Nonviolent completed its first annual recognition of the work being done to reduce and end violence and create a culture of nonviolence throughout the Twin Cities.